Amber Sakai’s collections are deeply inspired by the dynamic woman who is “always in motion” with a mix of essential pieces that complete her everyday wardrobe. 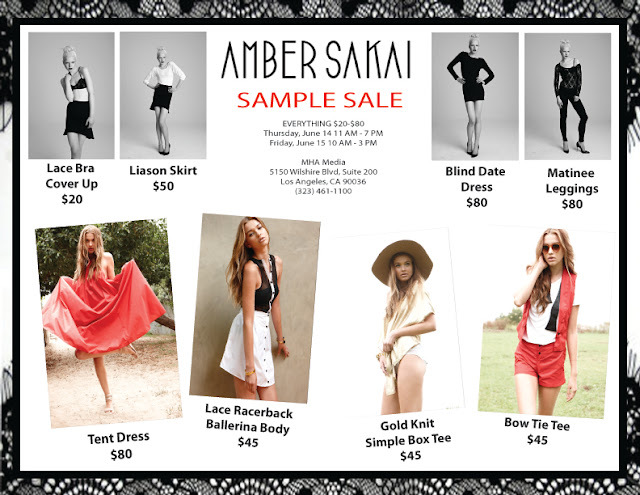 From body conscious creations to perfected draping skill, the DNA of Amber Sakai’s brand is readily apparent. Each collection is dedicated to women who are passionate about travel, adventure, and luxury. Her pieces can be worn from the bedroom to Sunday brunch and anywhere in between. 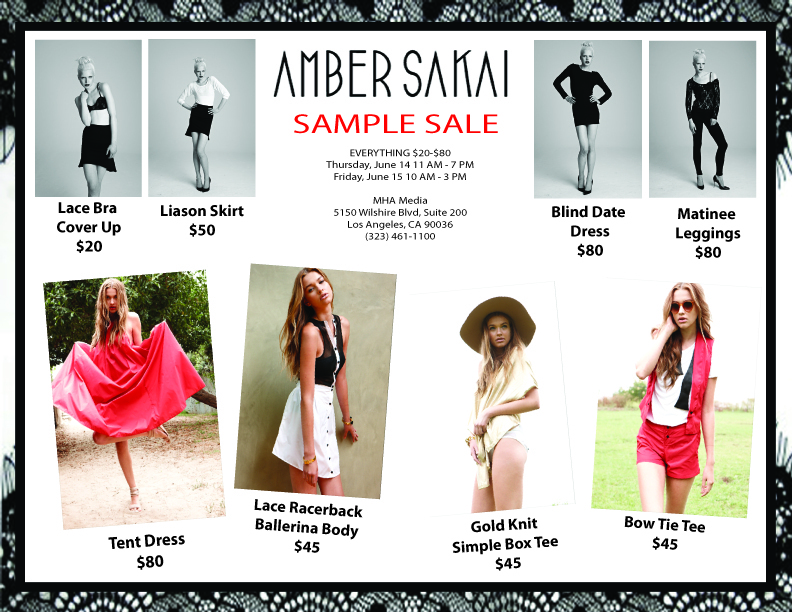 A sample sale featuring her Spring 2012 collection is taking place Thursday and Friday at MHA Media, 5150 Wilshire Blvd, Suite 200, LA. Whitney Eve, the brand child of LA designista and reality star Whitney Port, will be having its first ever sample sale this Friday from 11-3pm. 833 S. Spring St, #202, Los Angeles. Lv3hreeshaowen louis vuitton outlet store is probably the many Louis Vuitton developers regarding buckskin items inside the Louis Vuitton 2012 regarding France's. Inside Paris, france , inside 1854 exposed his / her louis vuitton bags the initial bag louis vuitton handbags. A century afterwards, Louis Vuitton Outlet gear and also buckskin items to get one of the better aspects of the particular brand name, and also started to be a symbol regarding large community. Nowadays, the particular louis vuitton brand name has never simply restricted to the style and also selling regarding high-end buckskin items and also gear, yet to get associated with trend, components, shoes or boots, hand bags, diamond jewelry, timepieces, mass media, wine beverages as well as other career fields with the large craze indicators.Louis Vuitton Outlet Lockit a complete regarding more effective designs, which includes: Lockit Monogram, louis vuitton handbags outlet, Lockit Epi, Lockit Nomade, Lockit MM, Lockit GM, Lockit PM.